Should Tanning Bed Warnings Take A Cue From Graphic Cigarette Labels? 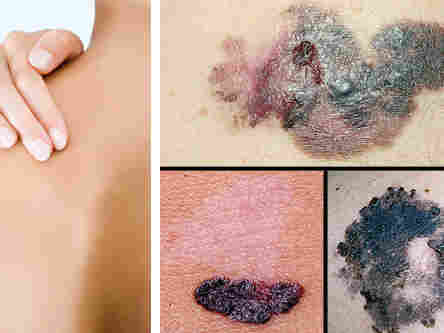 : Shots - Health News Graphic images showing the effects of melanoma, combined with photos promoting the positives of avoiding indoor tanning, were more persuasive than standard text warnings. The FDA requires tanning machines to bear a label explaining the risks, but the messages are not particularly attention-grabbing. Young white women like indoor tanning a lot. That habit is particularly concerning to public health officials because melanoma rates in young women are on the rise owing to UV exposure from the sun and from tanning beds. 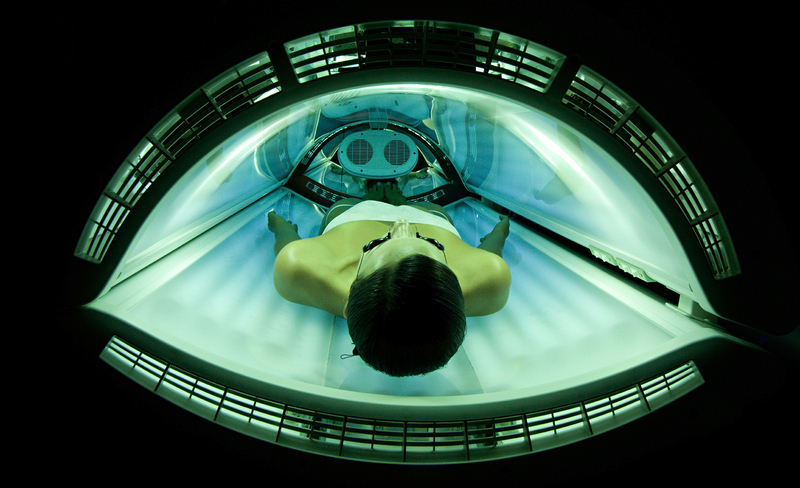 The Food and Drug Administration requires indoor tanning machines to bear a label saying that these aren't intended for people under 18, and it requires that consumers get other cautionary messages, too. But they're not particularly attention-grabbing. Some researchers at Georgetown Lombardi Comprehensive Cancer Center wanted to know if a different type of warning featuring images would speak louder than words. And a study of young tanners found they might. The researchers surveyed 682 non-Hispanic white women ages 18-30 who had tanned indoors at least once during the past year. Five different warning messages were tested. One was based on the standard text warning that the FDA currently uses. Two of the warnings emphasized the potential downside of tanning — showing either a photo a young woman with scars on her face after skin cancer surgery or an image of melanoma lesions, accompanied by text about tanning risks. These are what the researchers call "loss-framed messages." Healthy skin (left) shown in some safety messages was less effective than images of skin cancer in influencing young women's tanning intentions. And the remaining two warning labels presented images of healthy skin alongside text about the rewards of avoiding tanning — these are called "gain-framed" messages. Participants were shown all the messages in random order. And after seeing each type of message, they were asked to rate their intention to quit tanning on a scale of 1-7. The text-only message averaged a score of 4, the positive messages averaged a score of 4.2, and the graphic negative images averaged 4.9 and 5.2. 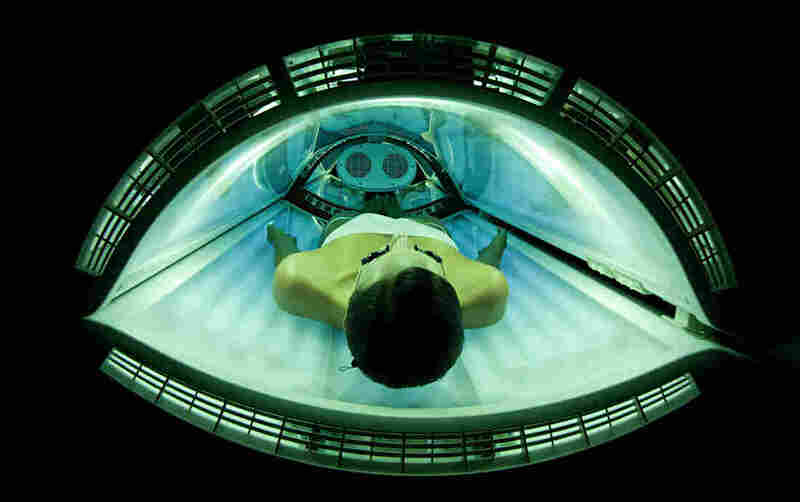 The negative messages, but not the positive ones, also decreased participants' intention to tan in the future. Even though the negative messages had the strongest impact, some people might respond better to the positive messages than to the negative strategy, which is why using both types of messages may maximize the public health impact, says Darren Mays, a behavioral scientist at Georgetown and the lead investigator of the study, which appears in the American Journal of Public Health. They could appear on warning labels or as part of a broader media campaign. Douglas says it's important to tailor the public health message to the audience. Young people, who often consider themselves invincible, aren't as likely to respond to messages linking a habit to some likely far-off health outcome like lung cancer or early death. But he says they do care about shorter-term consequences, like how they are perceived by their peers and how the habit affects their appearance — like the risk of nasty-looking lesions and potentially disfiguring surgery emphasized in the tanning study, he says. The study can't show that the messages will spark a long-term attitude change about tanning, or that intentions will translate to actual behavior change. That's what Mays would like to look at next.